Pastel de Tentúgal, is a portuguese conventual pastry, also known as phyllo toothpick. It is made since XIX century with egg yolk, phyllo pastry and sugar. 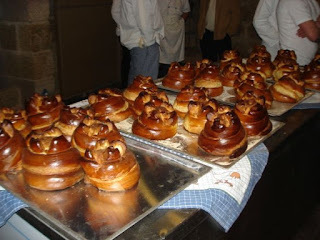 This pastry was among the 21 Wonders of the Portuguese Gastronomy in 2011.